TULSA, Oklahoma (WABC) -- An airline pilot stepped up to treat some patient passengers with an unexpected meal during a frustrating delay. 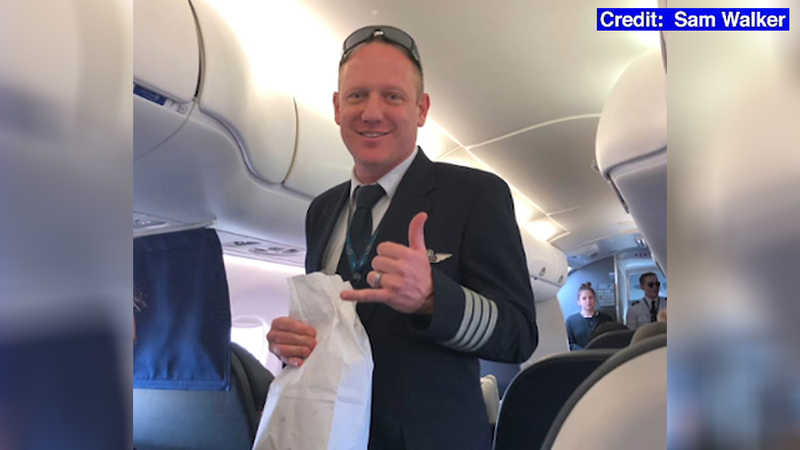 Mesa Airlines Captain Matthew Hoshor ordered 70 burgers for the passengers on his flight Monday while they were stuck in a 5 hour delay in Tulsa. Passenger Sam Walker praised and shared Hoshor's kind gesture on Twitter. The flight eventually took off and made it to Houston. The Mesa Airlines flight was operated by United Airlines.